4 bedroom, 3 bathroom country house Inglenook fireplace, large conservatory. Our house is in a tranquil rural setting between the Purbeck Hills. It sleeps 8 + 1 baby. Master bedroom with en-suite and a twin bedroom, family bathroom, shower room downstairs, a double and twin bedroom upstairs. Spacious living accommodation comprises: country kitchen, dining hall, sitting room and large conservatory which share a double wood burner, lounge with an inglenook fireplace. It has a front garden with parking for 3 cars and a sheltered south facing garden with a large terrace and lawn. Views from the back garden across the fields to KIngston. Bucknowle has been our family holiday home since 1991, but we have spent holidays in Dorset with our parents too. I grew up in Cornwall and my husband in Kent where we now live. We enjoy using the house with family and friends and also just by ourselves. We love the coastal and country walks, spending time at the beach and in our beach hut at Studland, playing golf at Purbeck and exploring the local towns and villages. The house is comfortable all through the year and particularly cosy in the winter with the fires lit. Master ensuite. Ground floor. Bath with electric shower over. WC. Family bathroom. Ground floor. Bath with shower over. WC. Shower room. Ground floor. Electric shower. WC. Large living room with inglenook. TV, board games. Modern kitchen. Electric range with hob, grill and 2 ovens. Microwave. Dishwasher. Fridge and freezer. Breakfast bar. Stable doors to front courtyard. We have just returned from our second family holiday at the Lodge and thoroughly enjoyed it again. Plenty of space for everyone to relax with large comfortable seating. Spacious well equipped kitchen and separate dining room. Fabulous log fire and a large south facing conservatory. Private car parking well away from the road at the front and a large private garden with dining area at the rear. Thank you very much for your enthusiastic review. We are pleased you enjoyed your return visit. We loved the house and garden. Within easy reach of our special places yet secluded and comfortable. Thank you for your enthusiastic review. We're happy that you enjoyed your stay and hope you will be returning. Perfect for our family get-together including 4 little ones under 5! So much space inside and out. Bucknowle Lodge was just the perfect find for our family get-together from grandparents down to 4 little ones under 5. We definitely recommend and will return. Thank you! Thank you for taking a moment to write the lovely review. Im glad you all enjoyed your stay in the Isle of Purbeck. Im really pleased that you enjoyed your family holiday. Thanks for the tip about adding a clothes airer - great idea; also thanks for reporting that the clothes line was broken. We were envious of you all enjoying the lovely spell of weather. Bucknowle Lodge is located between the Purbeck hills in a secluded area of outstanding natural beauty. It is the perfect base to spend time with family and friends any time of the year. 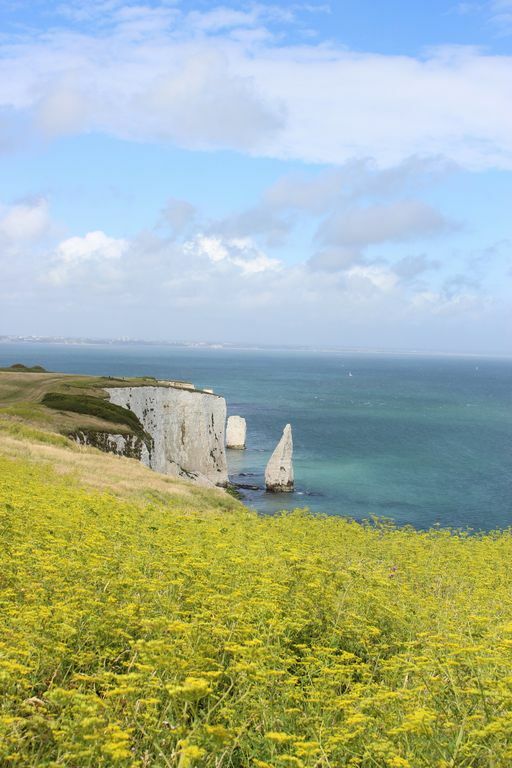 Enjoy scenic walks along the South West Coast path or through the countryside, spend happy days on Studland Beach or explore rock pools at Kimmeridge. It's a great location for cyclists, watersports and boating. The local towns of Wareham and Swanage are bustling, charming and are full of holiday atmosphere. A steam train ride from Corfe to Swanage or a visit to Putlake Farm are always popular for children. Bucknowle Lodge Booking policy. Provisional bookings will be held for 1 week. Please return a non-refundable 50% booking deposit as confirmation of your booking within 1 week. The balance of the rental plus £200 security deposit is due 8 weeks before the start of the rental period. If the booking is made less than 8 weeks before the holiday the full payment is due with the security deposit on booking. Cancellation: In the event of cancellation the following will apply. The booking deposit is non-refundable. Where possible the deposit may be held and used against an alternative stay. It is wise to take out holiday insurance at the time of your booking to cover cancellation costs. Arrival times. 3pm Departure times: 10am Key collection: Key collection arrangements and directions will be emails to you after the full payment. Please return any moved furniture and leave the house as tidy as possible to allow for preparation of the house for the next guests. If you have any questions or if problems arise during your stay please contact our agents while you are on holiday and they will do their best to remedy them as swiftly as possible.